When Mauja was a puppy, frequent urinary tract infections were a big problem. The issue started when she was about four months old and continued until she was 10 months old. I cannot even imagine how much discomfort that caused her. While “marking” is generally attributed to male dogs, it’s fairly common in female Great Pyrenees as well. As guard dogs, letting intruders know your territory is important. I had read this fact about pyrs and when Mauja started peeing in short bursts, I wondered if she was already beginning to mark. I didn’t think it would start at four months, but you really never know. When I noticed this new behavior, I wasn’t immediately alarmed. The day after the behavior began, she peed in the house, something she hadn’t done in quite some time. While still a puppy, it was very plausible that she just got distracted playing and forgot. Even though I knew it was highly likely, I wasn’t convinced. The next day, we had a visit with our vet. Sure enough, poor Mauja had a UTI. She was put on medication and a cranberry supplement and we scheduled our follow-up appointment. After a few days, Mauja wasn’t showing any signs of improvement so back to the vet we went for stronger meds. Finally, we got the UTI cleared up. A few weeks later, I noticed the same symptoms. Back to the vet. This time, the vet had us change her diet as well. After a few weeks, she felt better and I thought we were in the clear. A few weeks later it happened again. And again. I can’t remember how many she had in a row at this point. While she never showed any signs of pain, I can’t imagine that she was feeling very well. We were about to take the step to more invasive procedures when the UTIs finally went away for good. Thank goodness. Mauja hasn’t had a UTI since that spree, but I’m not willing to chance it. We’ve taken several trips to the vet just to find out that she’s healthy. Not only is it a lot of money, but Mauja hates going to the vet. She doesn’t need another thing to be stressed about. Trying the CheckUp wellness test has been on my to-do list for quite some time, but I kept pushing it aside for some reason. When I was approached about trying it, it was the kick in the pants I needed to get going. Assemble the included pole. It really takes like ten seconds and couldn’t be easier. Collect a sample of your dog’s urine. Now, this is definitely the toughest part, especially if your dog is picky about her “pee spot”. I absolutely love that CheckUp comes with its own pole and collection cup. You can’t even imagine how many “pee ladles” and tupperware containers I went through with Mauja! Fill the included vial with the collected urine for testing. Read the results. That’s it! I didn’t take pictures while completing the test because I wanted to make sure I did everything on time to get an accurate reading. Everything came back normal for Mauja, but I wasn’t anticipating any positive results. However, I do plan on keeping a few of these around the house for future incidents. I know she’s going to display symptoms again and I’d much rather do this at home test than put her through a stressful veterinary visit. At only $14.99 a kit, it’s definitely worth it! Would you use CheckUp for your dog (or cat!) before deciding to go to the vet? Disclaimer: I was compensated to help spread the word about CheckUp. Don’t worry – an advertiser will never influence the content of this blog and we only share products we use and believe in! 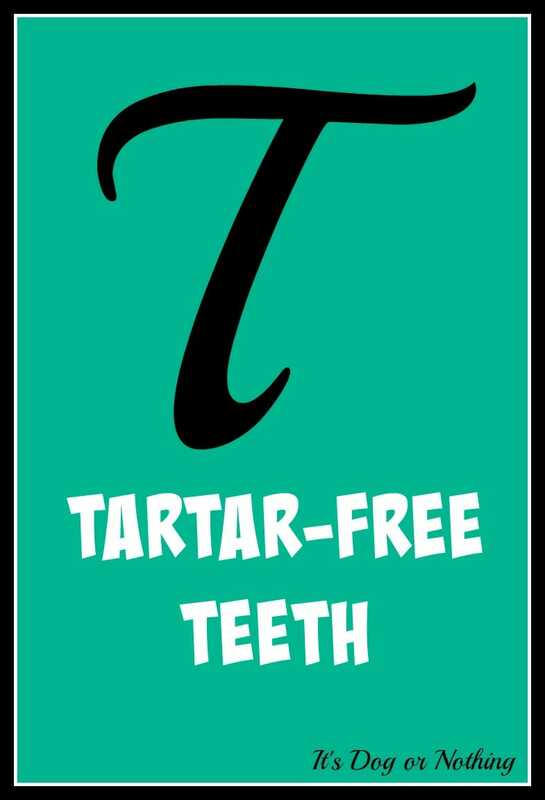 Much like tartar on human teeth, tartar on your dog’s teeth can lead to serious health problems. However, most of us visit the dentist twice per year to keep our teeth in top shape. Our dogs don’t have the same luxury, so it’s up to us to keep their teeth and gums in top shape. When looking at tartar, it’s important to remember that the tartar didn’t magically appear. Within just hours after your dog eats, plaque begins to form on his teeth. As the plaque combines with the salts in your dog’s saliva, it builds up, hardens, and turns to tartar. 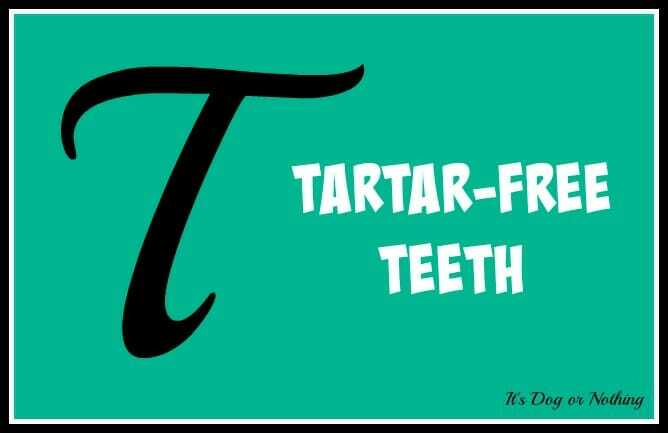 This tartar can host several kinds of dental problems, including gingivitis, periodontal disease, and lost teeth. Not to mention the bad breath that accompanies a tartar-filled mouth! The damage caused by tartar goes beyond the teeth. As it builds on the gum line, it slowly pushes the gums away from the teeth, exposing the roots. These roots are not protected by enamel, which leaves them vulnerable to sensitivities and pain. What Can I Do About Tartar? Prevention is the most important key when dealing with tartar, but there are things you can do to minimize/remove existing tartar. Brush your dog’s teeth daily. If you’re not currently brushing your dog’s teeth, there’s no better time to start than now! Be prepared to take it slow with your dog. If he’s new to teeth brushing, there’s a good chance he won’t like it or his gums might bleed. Keep brushing sessions short and slowly build from there. Give your dog hard chews. Chewing on dental treats or toys can help to scrape any existing plaque deposits of your dog’s teeth. Other popular options for removing plaque and tartar are raw bones and our personal favorite, bully sticks. Try a professional cleaning. If home treatments aren’t working for your dog, he might require a visit to the vet for a professional cleaning. Ask your vet to check your dog’s teeth at each annual check-up so make sure you are on track! Along with frequent brushing (although I’ll admit we need to improve upon that), Mauja and Atka get a bully stick each evening. Occasionally, we’ll run out of bully sticks and I will forget for a month or two to replenish our stock. I definitely notice a difference in their teeth when they don’t get their evening bully sticks. Currently, we do most of our bully stick/chew purchasing through Best Bully Sticks. So far, I have not found a company with a better price for the quality offered. The bully sticks are always dense so they last longer than ones you find at your local pet store. I also put them in the freezer to make them last just a bit longer. Best Bully Sticks was awesome enough to offer a bully stick giveaway! Enter using the widget below to win a pack of 5 12″ standard, odor-free bully sticks. If you’re involved in rescue, you’ve probably seen sarcoptic mange far too frequently. While it’s a treatable disease, dogs with mange oftentimes have a difficult time getting adopted. It can be hard to see the beautiful dog that will emerge in just a few months. (To see before and after pictures of a dog with mange, click here and here). Sarcoptic mange, or canine scabies, is a highly contagious skin disease caused by the Sarcoptes scabiei mite. These mites burrow into the skin and cause severe itching and irritation. The intense itching causes the majority of the dog’s hair to fall out. While mange is treatable, it is highly contagious for other animals and even humans. A dog suffering from mange is advised to be kept in quarantine during treatment. The most common cause of mange in dogs is through exposure to another infected animal. The mites move quickly from animal to animal so places with large amounts of dogs such as kennels, shelters, parks, and groomers have a high exposure rate. Generally, exposure occurs two to six weeks before the dog shows the first symptoms of mange. First, your vet will want to rule out any food allergies, chiggers, or bacterial infections of the skin. Your vet will then conduct a physical examination to identify what has embedded itself into your dog’s skin. In the case of mange, mites will be found. Your dog will most likely be treated with scabicide, a drug that kills the mite. In some cases, a scabicidal shampoo dip will be done in order to kill the mites currently living in the skin. Much like treating for fleas, ongoing treatment is necessary as the eggs will take time to hatch and most treatments do not kill the eggs. Mange treatment should always been done under the supervision of a veterinarian to ensure your dog’s entire body is being successful treated and all mites eliminated. The severity of the mange will determine the intensity of treatment. Some dogs will have to continue the scabicidal shampoo dip on a weekly basis to successfully kill the mites. 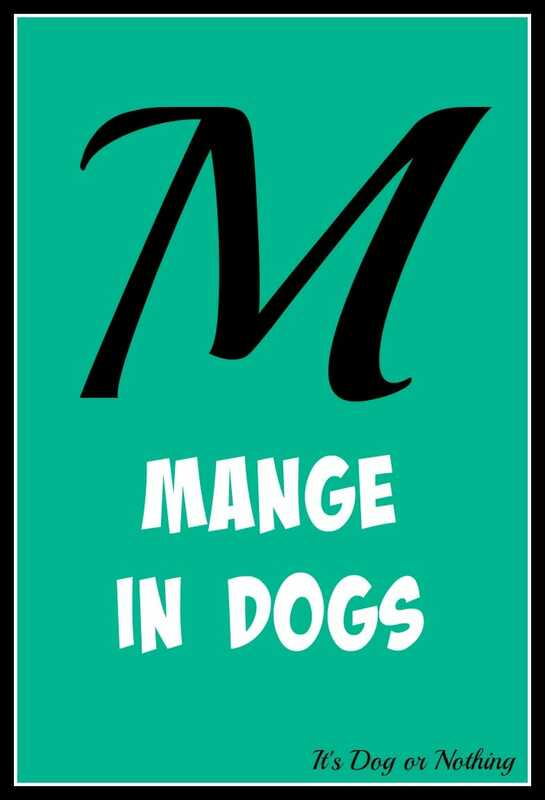 Since mange is highly contagious, the dog should be restricted from contact from other animals. It is also important to limit your own contact with the dog. If a person does come into contact with a dog suffering from mange, a purplish rash on the arms, chest, or abdomen may be seen. Once the dog is successfully treated, the rash should diminish as well. In order to prevent the reoccurrence of mange, it’s important to ensure your dog has a healthy immune system. This means keeping your dog as comfortable as possible during treatment – a regular feeding schedule and a comfortable place to sleep. Unfortunately, there are currently no known preventative measure for sarcoptic mange. 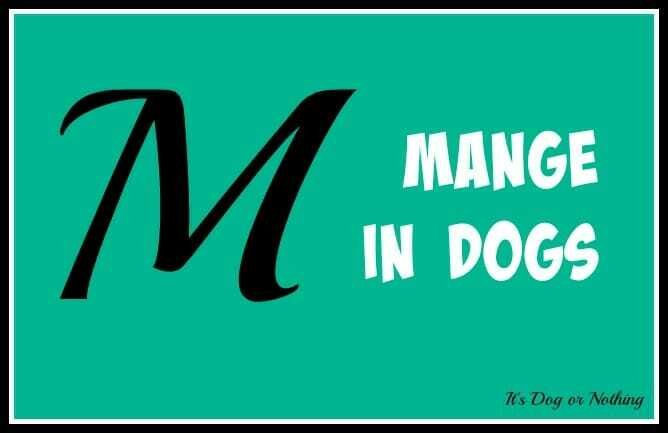 Have you ever had a dog who has suffered from mange? Entropion is a genetic condition where a portion of the eyelid is folded inward. This fold can cause an eyelash or hair to scratch the surface of the eye and often leads to corneal ulceration or perforation. It is also possible for your dog to develop scar tissue over the wound on the eye and may decrease or eliminate vision. 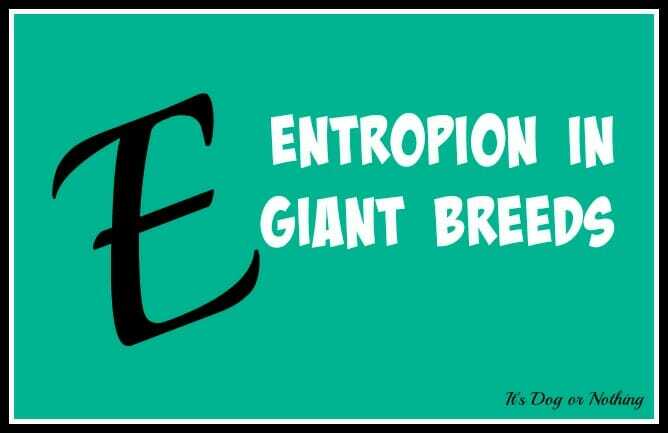 While any dog can experience entropion, giant breeds are one of the groups of dogs that are highly susceptible. It is fairly common and is typically diagnosed around one year of age. For most dogs, facial shape is the main genetic cause of entropion. Giant breeds tend to have excess slack in the ligaments around the outer corner of the eye. This extra slack allows the eyelid to fold inward. Repeat eye infections or other irritants can also lead to entropion which is usually the reason breeds not susceptible to entropion develop it. Weight loss can also be a reason for developing entropion. If a dog loses a massive amount of weight, he likely loses fat and muscle around the eye socket, which weakens the face would allow the eyelid to fold. If there is a secondary problem which leads to the eyelid folding, that will be addressed first. The ulcerated cornea can be treated with antibiotics or triple antibiotic ointments. If the cornea is not ulcerated, artificial tears can be used to lubricate the eyes. Typically, surgery will be needed to correct entropion. By temporarily turning the eyelid with stitches, the pain and irritation can be fixed. If the case if very severe, facial reconstruction is a possibility once the dog reaches maturity. Entropion will require regular follow-up care and may require continued medication, but the problem should be resolved! 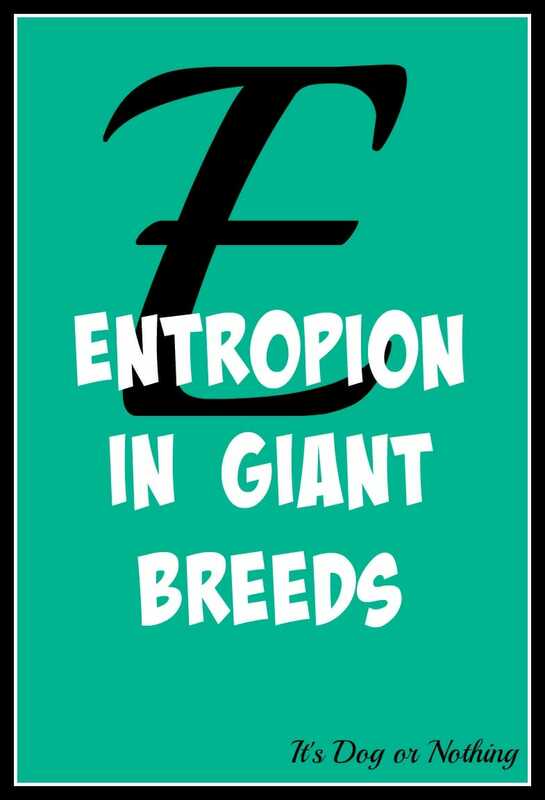 Did you ever have a dog with entropion? Did it have to be surgically corrected? 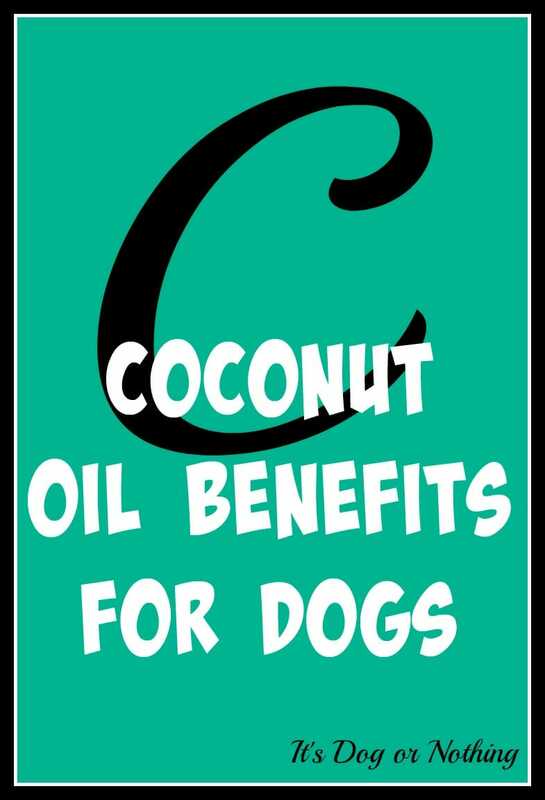 Coconut oil is a great thing to add to your dog’s meals. Unfortunately, the fluffies really don’t like anything coconut-y. I want them to get healthy fats other than salmon or krill oil, so I’m having to get creative. Over the past few weeks, I’ve been melting a small amount of coconut oil and adding it to their meals. Every few days, I increase the amount of coconut oil. I’m hoping to have them up to a full serving soon! It will be great to have another healthy fat to rotate in their diet. Coconut oil is truly an amazing thing and has been unfairly demonized in the past. I have personally used it to relieve extremely dry skin, clean my teeth, moisturize my hair, and cook my meals. As humans, we can receive so many amazing benefits from coconut oil. Turns out – dogs can too! Coconut oil is more than 90% saturated fat. Before you freak out about the words “saturated fat”, let me explain. Saturated fat has several subcategories and coconut oil has a very unique composition of fatty acids. Coconut oil consists almost entirely of medium-chain triglycerides which can be used as a quick source of energy. The fatty acids go from the digestive tract, straight to the liver to be turned into ketone bodies. Coconut oil is also high in lauric acid, which when broken down to monolaurin in the body can kill microbes like bacteria and fungi. Research has shown that populations who eat a large amount of coconut oil (we’re talking over 50% of their calories) are much healthier than Western nations. Both the Tokelauans and the Kitavans ate a large amount of saturated fat, mostly in the form of coconut oil, and had no traces of cardiovascular disease. 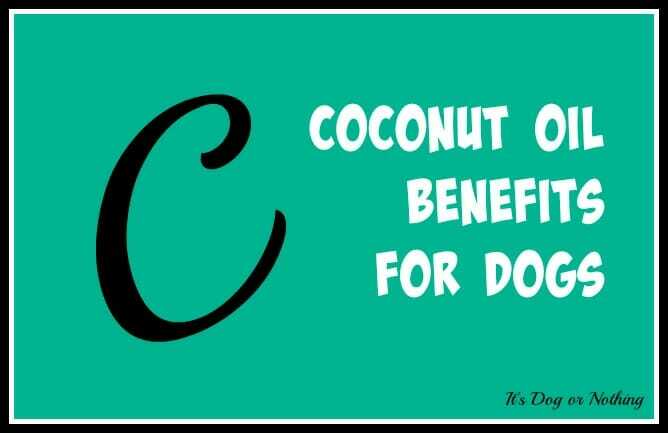 There are many benefits of coconut oil for dogs that range from skin health to overall vitality. When adding anything new to your dog’s diet, ensure that you start slow. You need to give your dog’s body some time to adjust to the new addition. You’ll know if you transitioned too quickly if your dog starts to exhibit flu-like symptoms and has diarrhea or greasy stools. I recommend starting with less than a teaspoon for giant breed dogs – even less if you dog’s tummy is particularly sensitive. Does your dog get coconut oil? Have you seen any benefits from using it? As our furbabies grow older, their needs grow as well. Unfortuntately, we don’t always notice their changing needs right away. 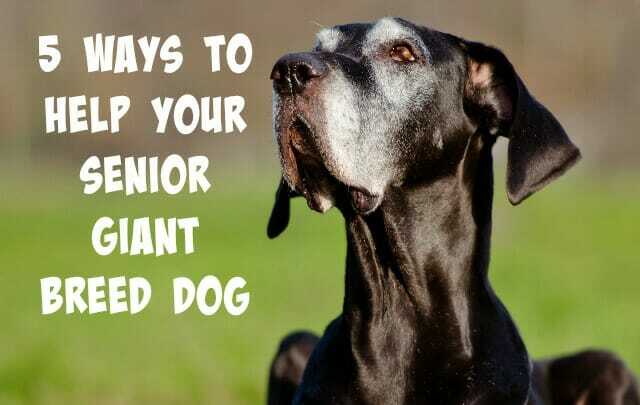 The following 5 things can really help your senior giant breed dog live a long, pain-free life. If your dog is losing interest in coming upstairs to snuggle with you at night or lacking excitement for car rides, there’s a good chance your dog is in pain. Investing in a ramp can allow your senior dog to enjoy his favorite things once again. When purchasing a ramp, ensure you measure your car or other area that you plan to use it. You don’t want to have to send it back! It’s also important to take it slow with the new ramp. Most likely, your dog will be wary of the ramp and need some coaxing to learn to use it. Time and treats will help you and your dog achieve success! I always recommend starting giant breeds on joint supplements as soon as you bring them home, but it’s never too late to start. 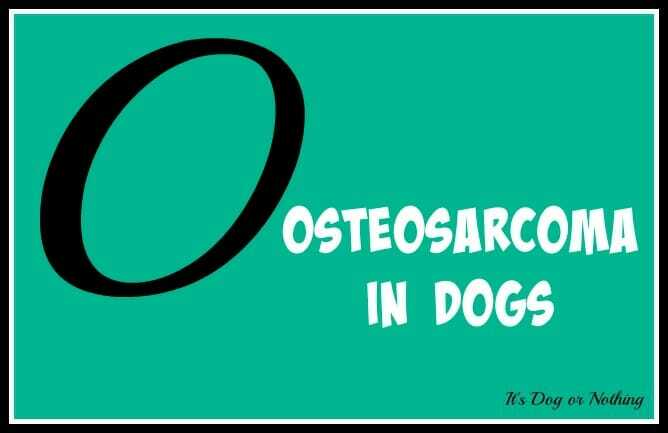 Depending on the severity of your dog’s pain, there are several levels of joint supplements available. 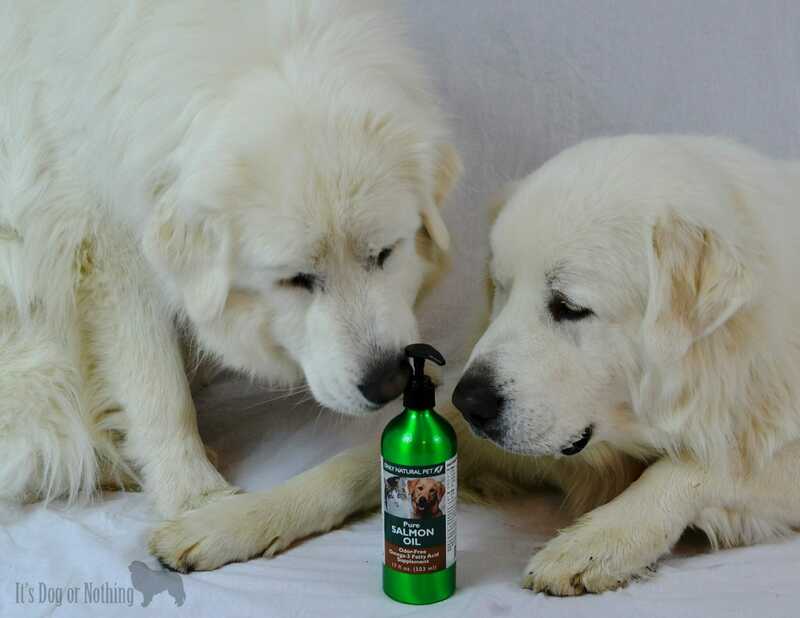 We are currently using GlycoFlex from VetriScience and the Pure Salmon Oil from Only Natural Pet to keep Mauja and Atka’s joints healthy and pain-free. 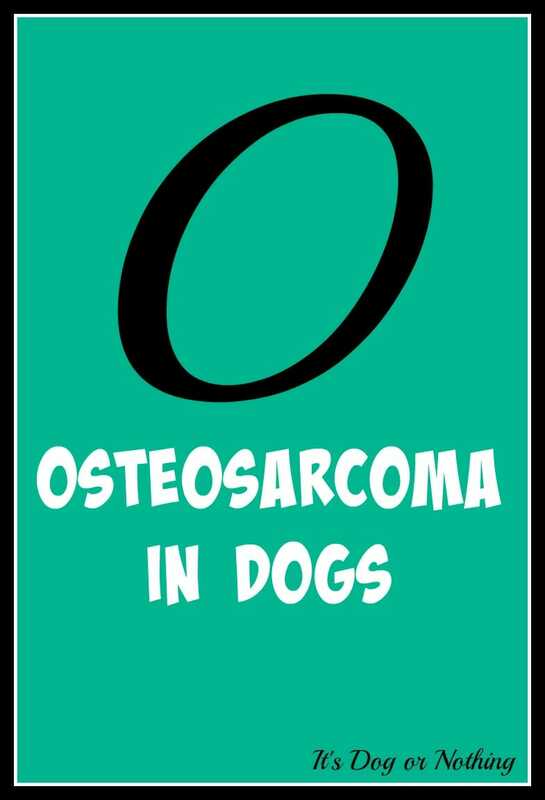 A good joint supplement can help to avoid or reduce medication for your senior dog. Many dogs, especially the fluffy ones, enjoy relaxing on the cool tile or other hard floor. However, as your dog ages, the hard floor can be particularly detrimental to his health. The hard floor can lead to stiff joints and an aching body. An orthopedic bed can really help to soothe the joints. It can be extremely difficult to get a high-quality orthopedic bed that doesn’t flatten under the weight of your gentle giant, but Big Barker beds are specifically designed with giant breeds in mind. While I do not have any personal experience with the Big Barker beds, I have heard wonderful things about them. While your senior giant breed may have slowed down a bit, it’s important to continue with daily exercise. Be sure not to over-exercise your senior dog, but moderate amounts of exercise will help keep his muscles strong and supple. In addition to muscle strength, regular exercise will also help to prevent obesity, which puts unnecessary strain on your dog’s joints. Maintaining an active lifestyle is a great way to improve your dog’s mood and prevent anxiety and boredom. It’s not uncommon for senior giant breed dogs to have issues with slick floors. Their mobility becomes limited and they run the risk of further injuries from slipping and falling. Rather than cover your house with mats that probably slip under your dog’s feet, try giving your dog the gift of ToeGrips. 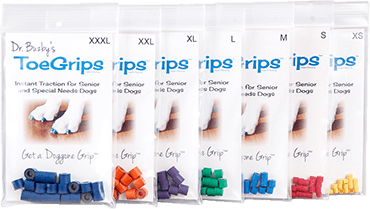 ToeGrips work with your dog’s natural bio-mechanics by enabling instant traction through their toenails. The ToeGrips create a “Grip Zone” to provide traction where the toenail meets the floor. Helping to move a senior giant breed dog around the house can be quite the difficult task. Not only do they weigh more than most of us are capable of lifting, but you also want to try to avoid hurting any aching muscles your dog has. If your dog is struggling, I highly recommend giving Dr. Buzby’s ToeGrips a try. 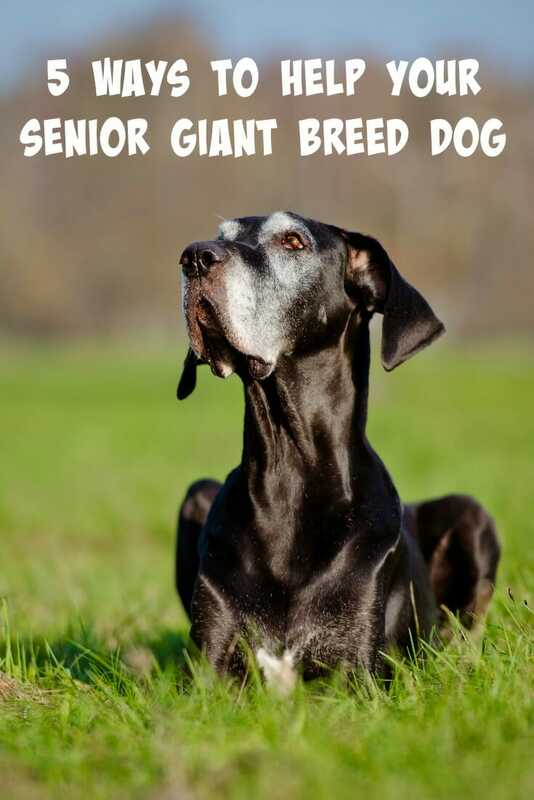 Do you have any advice for making senior giant breed dogs more comfortable? Atka has a few allergy issues. We’re not sure what triggers them as they are so incredibly random, but every now and then he will develop a small rash around his right eye. The rash doesn’t seem to bother him, but I give him some Benadryl to help alleviate any symptoms he might be experiencing. I really don’t want to give him medication every time his rash flares up, so it was time to look into alternatives. After a bit of research, I determined that salmon oil or coconut oil could be a great option for dealing with Atka’s skin allergies. I had some coconut oil in the house and figured it would be an easy way to start. Getting Atka to consume the coconut oil? Not so easy. So, I moved on to option 2; salmon oil. It’s important to find a pure salmon oil without filler ingredients. 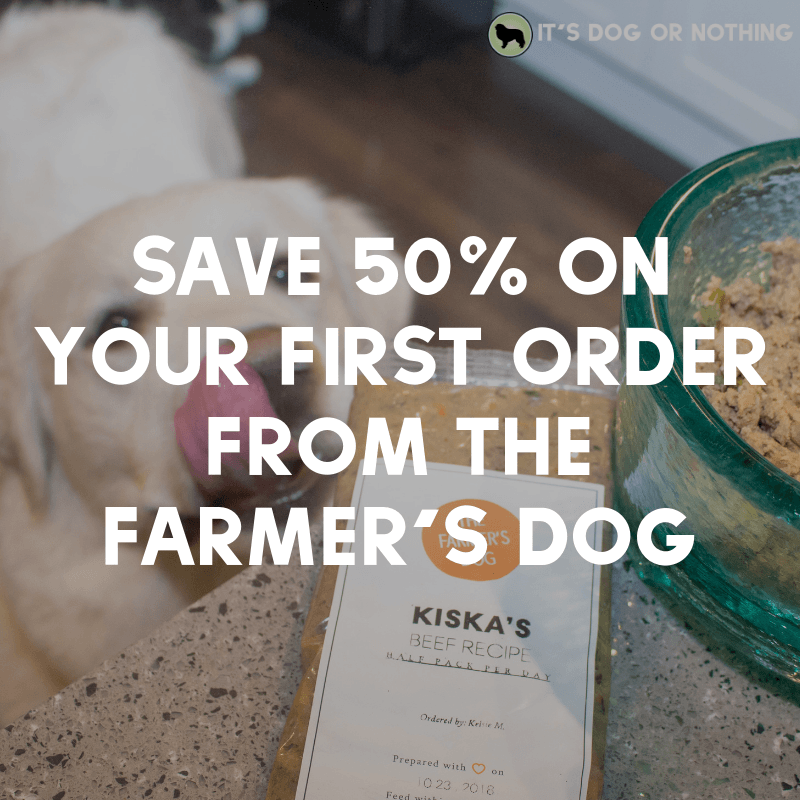 You really want to ensure your dog is getting quality essential fatty acids (DHA and EPA). Also, look for salmon oil certified free of toxins or heavy metals. I am absolutely loving the Pure Salmon Oil from Only Natural Pet. Their salmon oil goes through a quick purification process to prevent the creation of trans fats and remove virtually all toxins and heavy metals. On top of that, Only Natural Pet’s Pure Salmon Oil is packaged in a safe, eco-friendly bottle. The bottle is made of green, brushed aluminum with an interior epoxy coating that is safe enough to hold liquids for human consumption. This ensures you get the “freshest and safest fish oil available”. The Pure Salmon Oil bottle is even 100% recyclable! How Has it Been Working for Atka? Atka’s rash is slowly starting to clear up and I’m hoping that continuing to use salmon oil will help avoid future flare-ups. We have also only experienced one “side effect”: Mauja and Atka will eat more food. The salmon oil is almost like a gravy to the fluffies’ meals. When they get their salmon oil, they always eat at least 3/4 of the food they are given. Now, I know this isn’t an issue for most of you, but getting the fluffies to eat enough is a never-ending task. They get SUPER excited (almost as excited as when they get wet food added to their dinner) when I grab the bottle and give their meal a little something extra. Human bonus: it doesn’t smell! 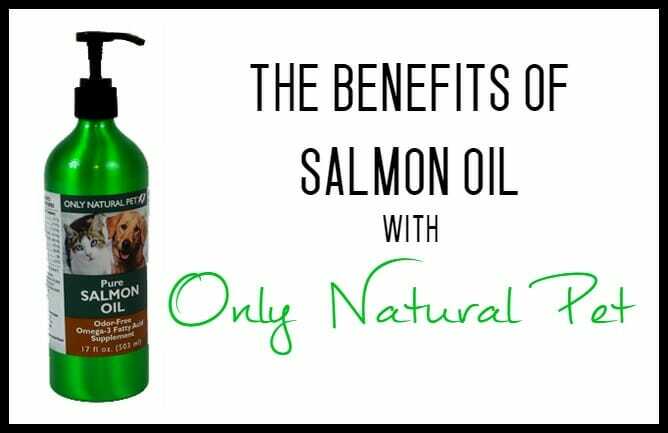 Only Natural Pet’s Pure Salmon Oil is definitely going to become a staple in our home. I’m contemplating putting this product on automatic shipment so I never run out. It’s a great quality supplement at an affordable price. Save 15% + Free Shipping on your first order at OnlyNaturalPet.com with code AF15FREE. Disclaimer: It’s Dog or Nothing was provided the product mentioned above in exchange for an honest review. Don’t worry, an advertiser will never influence the content of this blog and we only share products we believe in and feel our readers would enjoy. This post contains affiliate links.